Kickstart-up Communications Agency Ascends into the Big League! 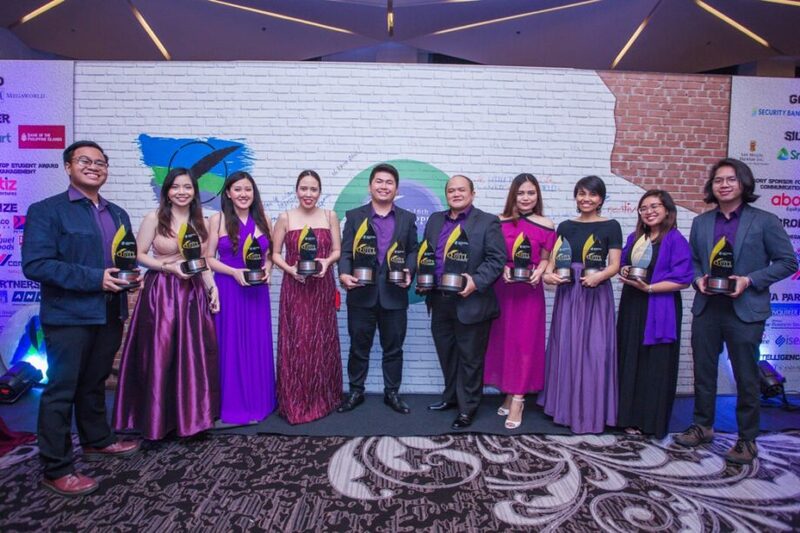 Fresh off the heels of the 16th IABC Philippine Quill Awards, fast-rising and award-winning communications agency ComCo Southeast Asia has made a mark on the communications scene in a short span of two years since its launch in 2016. The past year has been a monumental one for the budding agency filled with new recognitions, new collaborations, and even a new headquarters! All of this is possible through ComCo SEA’s three agency thrusts, instilled in everything they do: Igniting Brand love, Igniting Social Change, and Igniting Talent. The ComCo Squadron, dressed in its official brand color imperial purple, takes center stage in the recently held 16th IABC Philippine Quill Awards. After winning two IABC Quill Awards of Excellence for Igniting Brand Love – The Launch of ComCo Southeast Asia and M&M’s Vote PH Campaign the previous year, the company ascended into even greater heights this year by being nominated for Agency of the Year and winning 13 IABC Quill Awards! The IABC Quill Award is the world’s most prestigious awards program in the field of business communication. It has been bestowing the seal of approval to the most reputable organizations and corporations in the nation for almost two decades, emphasizing the use of excellent communication to achieve business goals, and to make a difference in society. To win a Philippine Quill means being recognized as achieving the highest Global Standard for business communication practices. ComCo Southeast Asia won the prestigious Quill Awards for the following: AirAsia – World Vision See the World Initiative for Audio-Visual, Corporate Social Responsibility (CSR) and Nonprofit Campaign; WWF Earth Hour Camp for Special Event and Nonprofit Campaign; Lamoiyan Corporation’s Licealiz KKK for Publication; Pioneer Insurance #MoveOnLang Song Writing Competition for Social Media and Corporate Social Responsibility; Eastern Communications rebranding campaign for Internal Communications; AirAsia Red Talks season 1 for Marketing, Advertising and Brand Communications, Digital Communications and Audio-Visual; and #CitizenComCo – the ComCo Southeast Asia Advocacy Communications practice for Corporate Social Responsibility. Likewise, Pioneer Insurance #MoveOnLang Song Writing Competition also bagged two silver Anvil Awards from the Public Relations Society of the Philippines (PRSP) earlier this year. In 2017, ComCo SEA was also recognized in Kidlat Awards and Spikes Asia by being part of the winning team of Snickers Don’t Drive Hungry and in Mumbrella Asia Awards for doing the Philippine leg of TCL Inspiring Bonding Moments. The past year was not only filled with recognitions and retaining long-term partners such as Electrolux, WWF, Eastern Communications and Lamoiyan Corporation’s Licealiz. ComCo SEA also won a number of inter-agency pitches acquiring new accounts such as PR for SM Cinema (including IMAX, Director’s Club and SnackTime), environmental sustainability research project for Coca-Cola, Digital and Social for Dragonpay and SureTayo, PR for Lamoiyan Corporation’s Hapee Kiddie and GumTect, Healthcare Communications for The Medical City – Clark, PR for Oakley and Reef, Development Communications for UNFPA (United Nations Population Fund), and PR for Bai Nian Tang Bao restaurant, Wake Up Manila job convention and Goodyear. From starting out on a shared space in Makati CBD (Central Business District), ComCo SEA moved into its new and own headquarters they call home on the 32nd floor of the BPI-Philam Life Makati building along Ayala Avenue, Makati City. Visitors and guests, as soon as they are in the hallway outside, will notice the company’s bubbly and vibrant imperial purple logo greeting them. The office, known as the ComCo SEA Command Center, is home to the ComCo Squadron composed of ComCoys (directors and staff) and ComCowans (apprentices), a reference to the love of the team has for Star Wars. This particular passion for pop culture is seen all through the office floor with each room’s name being a reference, such as the Millennium Falcon (the primary craftsmanship studio), the Watch Tower (the conference room), the Cerebro (the leader’s room) and the Room of Requirements, among others. To celebrate the Agency’s 2nd Anniversary and plan ahead for its #RoadToYear3, the squadron spent their away days in a week-long trip in the Land of the Rising Sun, Japan! They were able to reflect, recalibrate, and regroup together for its next conquest. The Squadron has also injected new and young blood into its team, enabling and turning its bright, talented, and passionate young associates into becoming full-fledged communication experts. They recently hired new Associates for Brand Communications and Finance & Administration, and engaged Enablers for Digital Solutions and Information Technology. Most of its workforce came from ComCo SEA’s very own mentorship program called Camp ComCo. Now on its 8th cycle, over 20 apprentices have gone through its real-world and practical on-the-job training involving workshops and sessions delivered by industry leaders as well as a mentee-mentor relationship between employees and apprentices, enabling the interns to perform actual work in the field. The past two years were certainly full of exponential and positive growth for the Agency. The year 2018, however, is shaping up to be an ever better year for the kickstart-up now mainstream player ComCo Southeast Asia.